After a hiatus of over two months, the 79th Pennsylvania's "regular correspondent," Corp. Elias H. Witmer, resumed his journalistic responsibilities with a letter penned on March 27, 1862, that was worth the wait. Recall that Witmer was a shopkeeper in the Lancaster County village of Mountville before the war, and see <this post> for a brief biography. While on a visit to this place, in company with several of my friends of the "bloody 79th;" we forgot that we were soldiers, and imagined ourselves legislators and acted accordingly. After electing a speaker by acclamation, we proceeded to business, during which able speeches were made, and animation burned upon the brow of every senator. 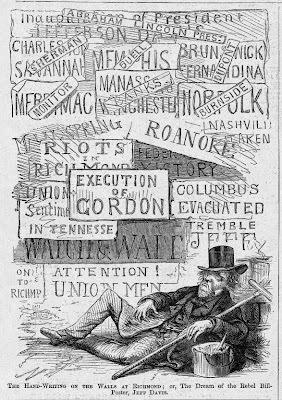 The following was the result of the session: Adopted the erring sister, Tennessee, as a member of the United States family, provided she hangs her traitors, re-builds her destroyed properties, swears allegiance to her former faith, clothes herself in sackcloth and sits in ashes, and prays for forgiveness until the last rebel shall have given up the ghost; sold South Carolina to Africa, with a promise that we will not interfere if England desires to extend her conquest to her shores; defied the allied powers to "break" our blockade; sympathized with Mexico in her present difficulties; sent Mason and Slidell exiles to the dreary shores of Botany Bay; sentenced Jefferson Davis and his Cabinet to be hung on John Brown's gallows, and the rest of the traitors in the City of Washington, and the English Parliament witness and House of Commons, be invited to the spectacle; voted that the "C.S.A." exists only in worthless bonds, scrip, shinplasters, and fresh-made graves, after which we adjourned to meet again on or before October next, in Lancaster, Penna., when the 79th shall be mustered out of service. Having finished our National business, we paid our compliments to Gov. Johnson, who by the way, is a noble-hearted and brave man, worthy the position assigned him. 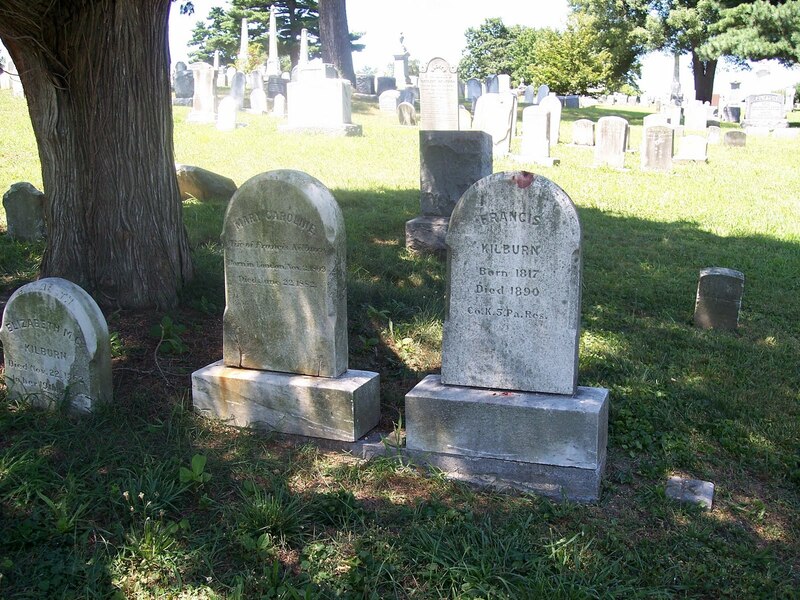 Witmer continues to describe visiting the graves of President Polk and Confederate General Zollicoffer. He ends by noting that Gen. Negley's brigade was detached from the division of Alexander McCook, who apparently had fallen out of favor with the men in the ranks of the Lancaster County Regiment. While the rest of the division was marching toward their first engagement, the Battle of Shiloh, the 79th Pennsylvania spent late March and early April encamped among flowering trees by a beautiful spring south of Nashville on the turnpike to Franklin, Tennessee. 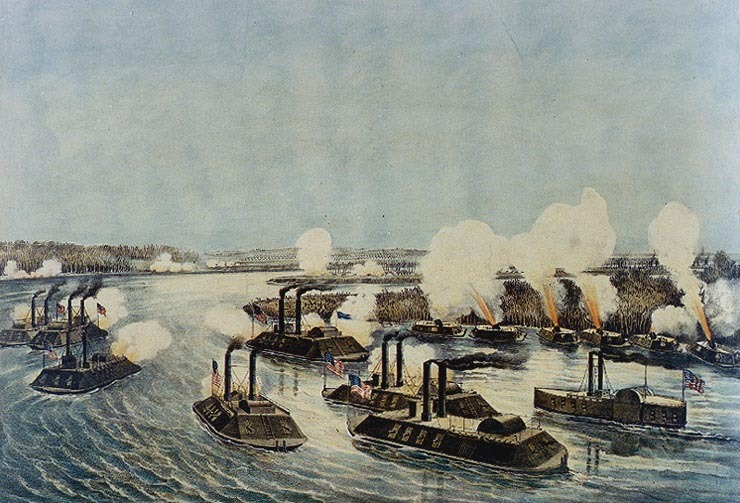 Into Battle on a Mississippi River Mortar Boat with "Ranger"
Note the mortar boats firing along the bank of the river on the right. 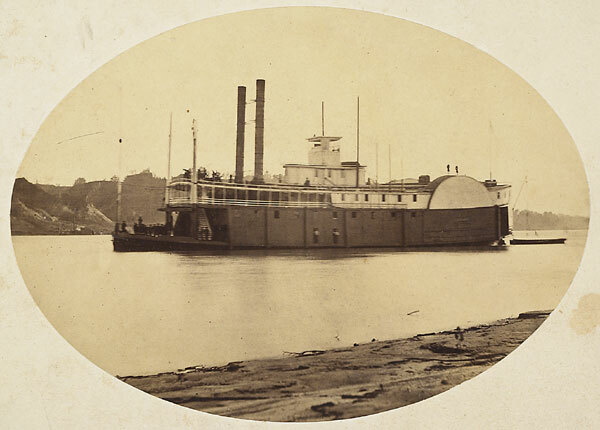 In February 1862, one soldier from each company of the Pennsylvania Reserves (and it looks like other divisions in eastern and western armies) was selected to be transferred to gunboat service on the Mississippi River. Representing Company K, 5th Pennsylvania Reserves--the "Cookman Rangers," recruited in Columbia--was Pvt. Francis Kilburn. Kilburn presumably was the correspondent, "Ranger," who had written five or ten letters since the beginning of the war with the Cookman Rangers. Ranger's last letter from the seat of war in Virginia appeared in the December 20, 1861, Daily Evening Express. 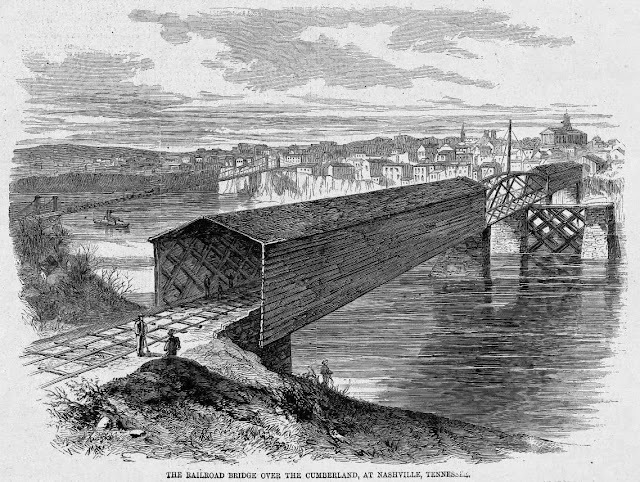 Kilburn's transfer was officially dated February 18, 1862, [Bates] and Ranger's first letter of 1862 had a dateline of Cairo, Illinois, on March 13, 1862. Born in 1817, Kilburn was also unique in that both he was born in England, where he married his wife Caroline. Together the immigrated to Lancaster in 1848. Caroline's obituary [Daily Intelligencer, 6/23/1882] mentions they lived on East Chestnut Street in Lancaster City, they had five grown children, and that she was a member of St. James Episcopal Church. Francis Kilburn also shows up as an active Democrat after the war, and as the publisher of A Brief History of the City of Lancaster, a business directory printed in 1870. 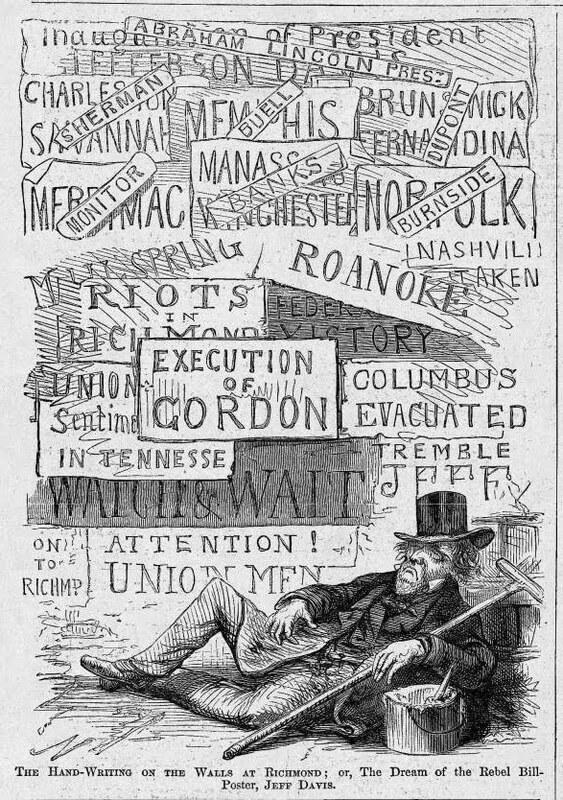 The letters detail the interesting and novel operation of the Western Gunboat Flotilla, which left Cairo on March 14 to support a Union army besieging Island Number Ten, an important double turn of the Mississippi River near the Kentucky-Tennessee border. 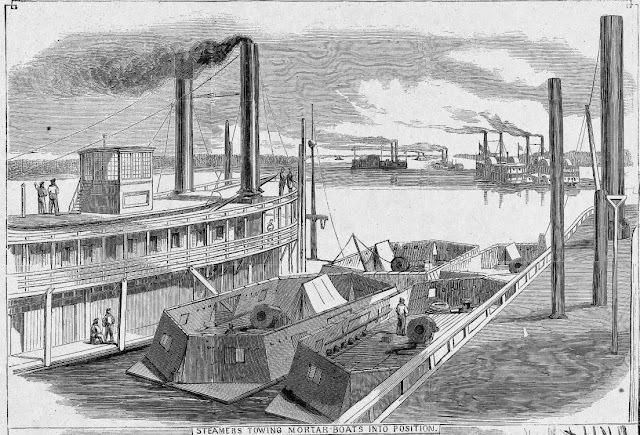 Kilburn noted that the flotilla included six ironclad ships and and two steamers towing mortar boats, as well as an "old-style gunboat" and two transport ships. One of these transport ships was the Judge Torrence, aboard which Kilburn stayed when not on his mortar boat. The mortar boats are built like large flats, seventy feet long, sharp at each end, and drawing, when laden, four feet six inches of water--down to their gunwale; above this, six feet high, they are plated, with half inch iron plates, riveted together. When in action the stern is thrown open by two falling doors. The mortar is placed in the middle of the boat: it is three feet six inches long, fifteen inches thick and has a bore of thirteen inches. The charge is from thirteen to twenty pounds of powder, and the shell, which is thirteen inches in diameter and two and-a-half inches thick, is filled with seven pounds of powder and secured with a hollow wooden fuse, cut in various lengths, according to the distance of the object it is intended to burst over. The whole responsibility for the effectual striking and bursting of a shell, at its proper time and place, rests with the loader, fuse cutter, and elevator. When all is reader for firing, so tremendous is the concussion caused by the explosion, the word is given and the men run aft, and jump out on to the apron of the boat. The firing is done by a friction fuse with a line attached, and when she is let rip the effect is as if this "too firm earth" had caved in. Read on to learn about Kilburn's experiences in the Battle of Island Number Ten, a fatal accident that he barely escaped, the attempt to raise a hot air balloon, and his tour of the captured island. 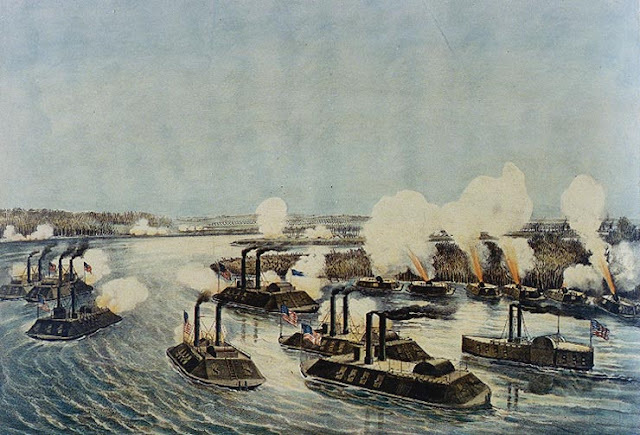 The battle's outcome was the capture of a small Confederate army and the opening of that section of the Mississippi River, although it would be overshadowed by the Battle of Shiloh. Historians have questioned whether the Union army involved could have been better occupied as the island would have fallen anyway. 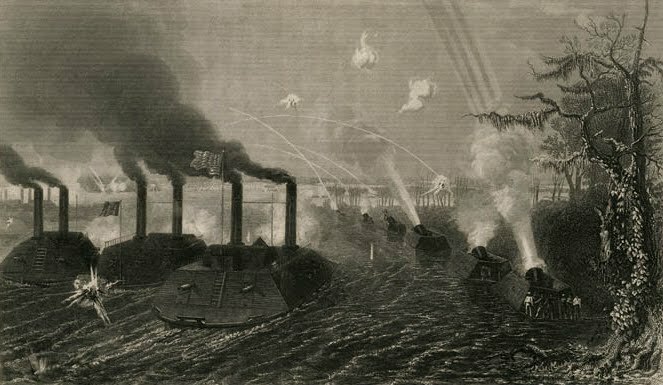 For more on the battle, I recommend browsing through articles by Craig Swain at the Civil War Monitor's "Front Line Blog" and his blog, "To the Sound of Guns." Also, if anyone has time to further investigate Francis Kilburn biographically and genealogically, I would appreciate learning what you uncover. Mr. Francis Kilburn, formerly a reporter for the Lancaster press, subsequently a member of the Pennsylvania Reserves, and more recently a gunner in the Mississippi River mortar flotilla, returned home last week, having partially recovered from a protracted illness from which nearly all the mortar-men suffered, owing to the severe nature of their duties. Mr. K's visit home resulted in a mission of sorrow. His eldest daughter, who was the first to welcome him home, then in perfect health, was stricken by death after a few hours illness. 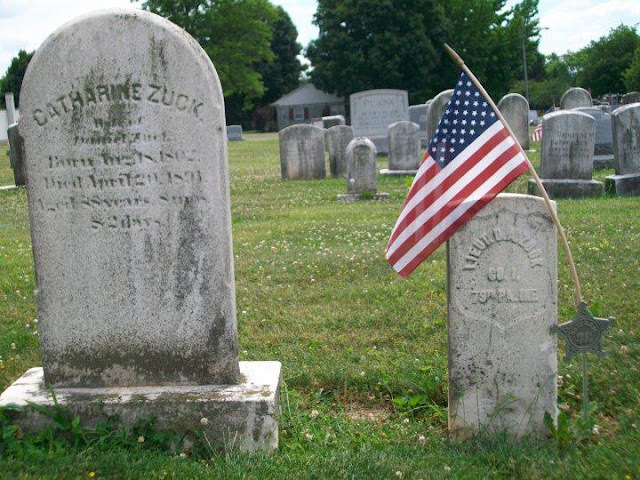 His two sons in the army are both in the hospital, one having been wounded in both thighs at the battle of Perryville, and the other being dangerously ill in the hospital at Washington. Mr. K. can enjoy the conciousness of having done his whole duty to his adopted country in the hour of her greatest peril. 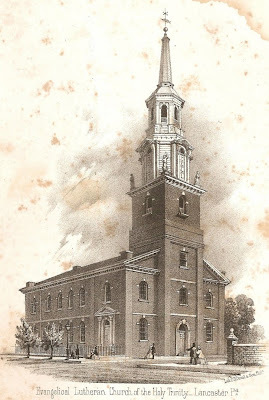 On Sunday, May 13th, I'll be returning to Lancaster to give a lecture at Trinity Lutheran Church on the history of that congregation and the Civil War. The 150th anniversary of the Lutheran General Synod convention--which resulted in a statement on the war and slavery--held at Trinity in May 1862 provides the occasion for the lecture, but I'll also talk about how the congregation and its surrounding community experienced the Civil War. With spring's arrival came a flurry of new letters from correspondents across the Western Theater. Jacob Hall Sypher, the Ohio artillery officer and future Radical Republican Congressman representing a district in Louisiana, wrote this letter a week to the Daily Evening Express (of which his brother was the local news editor) after arriving in Nashville with Battery B, 1st Ohio Light Artillery, of General George H. Thomas's division. 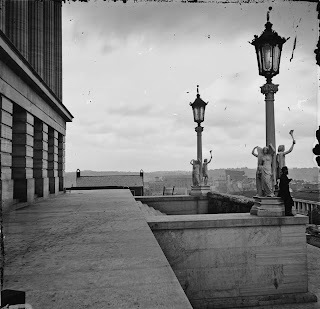 His letter touched on his impressions of his city, the widespread pro-Confederate sentiments of its inhabitants, and military policy towards civilians. On the last point, Sypher boasts of the army's restraint and leniency--an important benchmark for comparison when we try to understand the Army under Buell vs. the Army under Sherman in 1864. 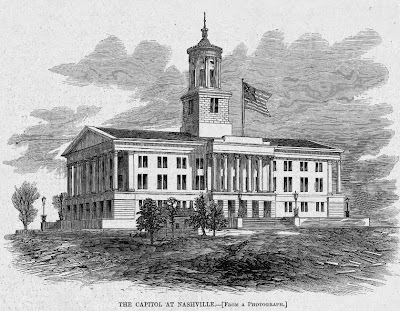 A few days ago, we read a letter from the 77th Pennsylvania about the march from Munfordville to Bowling Green and on to Nashville, Tennessee. Here's a corresponding letter detailing the march of the 79th Pennsylvania. It's still unclear to me who authored the letter, but I'm guessing based on the content that it was a member of Company H.
In the first letter from the Western Theater in three weeks, Jacob Cassell--quartermaster of the 77th Pennsylvania and a Lancaster native--wrote in place of the seriously ill Lieut. Ben Ober to describe the march from Munfordville to Bowling Green and then Nashville. His letter specifically recounts how Ober became very sick on that march and shows the fragility of health on a winter march. Ober had been sick to the point of rumors of his death spreading in Lancaster, but he recovered to write a letter from Munfordville just before the march to Bowling Green. However, the weather turned on him during a sightseeing trip to Mammoth Cave and Ober ended up sicker than before. 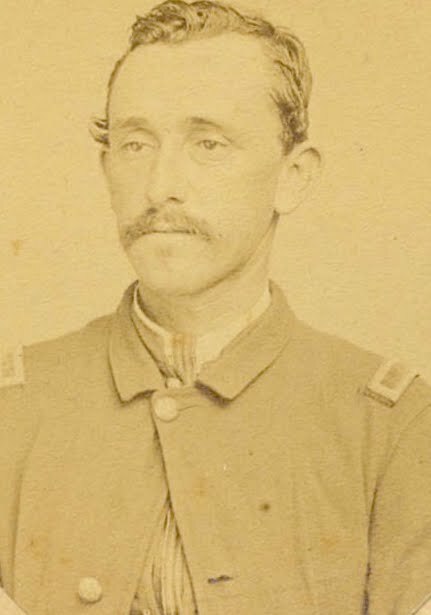 Stubbornness and assistance from Cassell allowed Ober to stay with the regiment on the move instead of going to a hospital, at least for the time being. We'll hear more from both Cassell and Ober over the upcoming weeks. 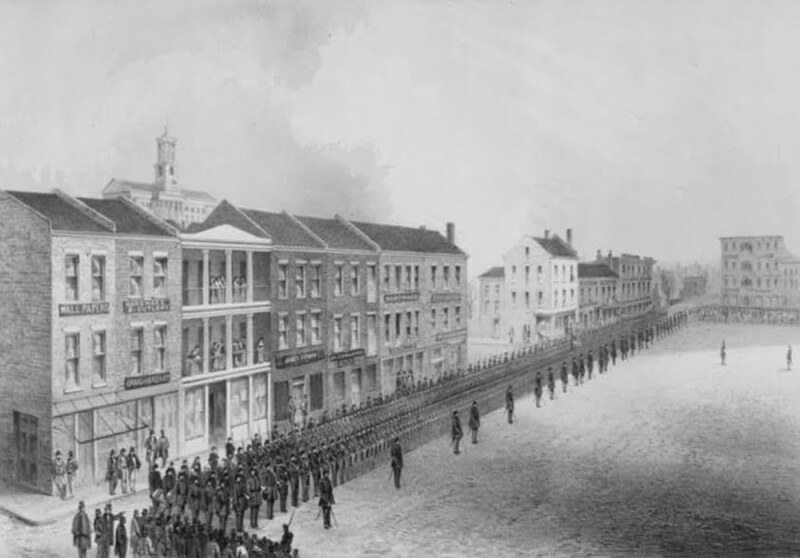 The Lancaster County Regiment crossed the Kentucky-Tennessee line for the first time on the morning of February 28, 1862. Two days later, they were on the outskirts of Nashville, which had surrendered on February 25. They passed through Nashville on March 7, and continued south of the city towards Franklin and Columbia, where they would spend much of spring 1862. Wagons reached us last night, but did not unload. Started at 6 and ¼A.M. & had a clay road 7 miles. Rebels took the plank off a bridge. We crossed on the sleepers. We came to the pike at the Tennessee line at 9:15 A.M. Passed through Mitchelville which is a small place much scattered & now nearly deserted. Halted at a small creek to rest & get water. At the last named village there was a steam saw & grist mill & as we pass along see some very fine buildings. At noon I was attacked with a severe pain in my head & for that reason rode on the wagon the rest of the day. Marched 22 miles & camped on Sugar Creek. Left camp at 8 A.M. & our first halt was at Tiber Spring a celebrated “Watering Place”. We passed a small village called “White Hill”. Passed farm on which was 50 goats. We next passed Huntingsville & crossed the Memphis Branch R.R. & came in sight of the Cumberland River. Today we crossed a range of the Cumberland Mts. near Tiber Springs. 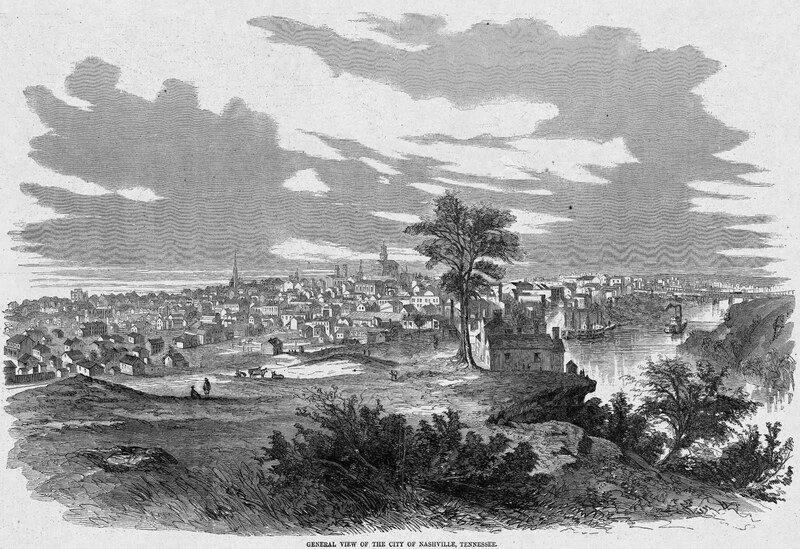 We halted & camped near the Cumberland River where 2 turnpikes meet, the R.R. crossing both of them. Drew 2 days rations. Just as we came here a steam boat passed up the river. 2 of them brought rations to us. This is the junction of the Edgefield & Kentucky with the L. & N. R.R. Left camp at 9 A.M. Soon after we meet a man under guard for trying to steal a horse mule from the 1st Regt. Wis. Vols. This pike is very dusty today. We had a very severe thunderstorm when within 2 miles of Nashville. We halted & stacked arms in a field close to the pike. While there the lightning struck a tree 50 yds. from where we stood. Half a Regt. of Calvary passed us while here. Passed sane very fine houses today. Formed line, marched a short distance & encamped in a woods. Received orders to be ready to move at 6 A.M. tomorrow. This morning is cold & snowing. We were ready to move at appointed time when we were ordered to await further orders. At noon we unpacked & pitched tents. 3rd Ky. Cav., 1200 strong encamped near us. Just one year ago today “Old Abe” took his seat in the Presidential Chair. This morning a member of Co. “G” 3rd Ky. Cav. gave me a cracker. We had not drawn any for three days. This afternoon there was 100 men detailed to carry crackers from the boats to the wagons. This day was fine until 3 P.M. when it became cloudy & is now raining, Our Regt. drew 40 boxes crackers. The 3rd Ky. Cav. left today. We had Regt. Inspection. The 2nd Ind. Cav. encamped near us today. Our wagons came up tonight. Received letter from Bro. Robert. We pitched the other tents today. Received orders to be ready to march early in the morning. The people of this region are nearly all Rebel & many of them are in the Rebel Army. Received 4 letters, one from Bro. John, one from Sister Agnes, one from Coz. Letitia P. Clark & one from Coz. Washington Clark. This morning we struck tents & left camp at 8 A.M. each Regt. in our Brigade leaving 2 Cos. in camp. We carried our knapsacks & crossed the Cumberland at 11 A.M. The old Pike Bridge was taken away by flood 10 years ago. The Rebels destroyed the R.R. bridge & New Pike Bridge in their retreat. They put 10 Bls. of burning fluid on the Pike Bridge (which was a wire one), but finding that it would not be destroyed in time to prevent us crossing they then cut the wires. The R.R. bridge is a “Draw One”. There is a gun boat just above the ferry. 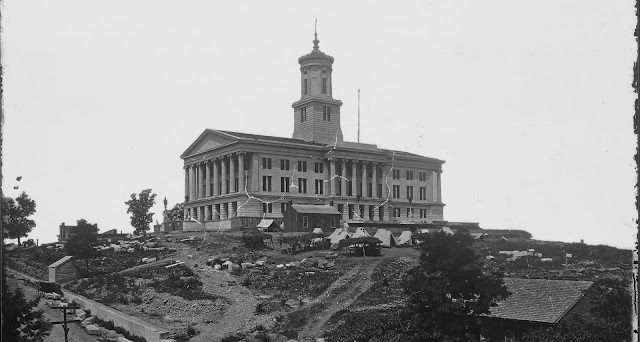 The Stars & Stripes were hoisted over the capitol in Nashville on the 24th of Feb. It is a very nice town & as large as Louisville. There is some of the finest houses & yds. in & around this place that I ever saw. We encamped 2 miles south of Nashville. I received a letter from S. J. Ankrim.